WASHINGTON (CNN) - One day after focusing on lost e-mails at the IRS, the House Oversight Committee learned Wednesday that the Environmental Protection Agency is also having trouble recovering e-mails the committee wants as part of a separate investigation. McCarthy: "There is a challenge"
EPA Administrator Gina McCarthy told the Republican-led committee that the agency cannot access some e-mails belonging to a biologist who worked on a controversial mining project assessment. It is a hard drive problem, but McCarthy was careful to not call it a "hard drive crash" or destroyed hard drive. "I don't believe this is a missing hard drive issue," McCarthy told the panel, "There is a challenge getting access to the data on it... I'm still hoping we recover all those e-mails." "I heard similar testimony yesterday," replied Rep. Mark Meadows, R-North Carolina, dryly referring to the committee's Tuesday hearing about a critical crashed hard drive at the IRS. With the EPA, the committee is investigating whether the biologist involved, or anyone else at the agency, colluded with environmentalists to produce a negative assessment of a mining proposal in Alaska. A separate investigation by the agency's inspector general is also underway. The environmental assessment concluded that the Pebble Mine project could significantly harm the sockeye salmon fishery in Bristol Bay. As a result, in February, the agency essentially froze the permitting process for the mine as it reviews options for the area. McCarthy insisted the agency is trying to recover the biologists' missing e-mails, but also tried to downplay his role in the mine assessment. "He's not a decison maker in this process," she said. "He inputed into the science assessment that's been fully peer-reviewed. We have not made any decision on Bristol Bay, we've just taken a first step." "But he could have colluded..." fired back Meadows. "Which is why it's important the (inspector general) finish his report," McCarthy replied. Did the EPA break the law? Meadows pressed McCarthy on whether the agency broke federal records-keeping law. "Were all his emails preserved according to the Federal Records Act or was a law violated?" 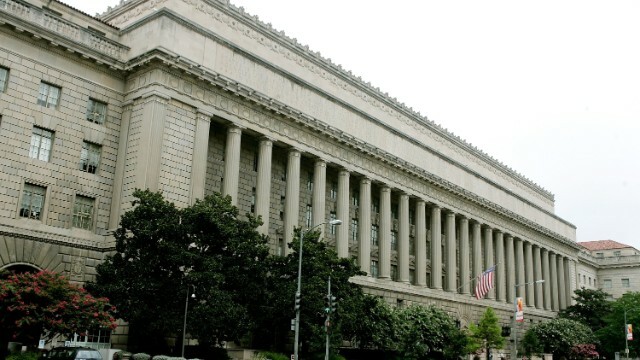 McCarthy answered that the EPA notified the National Archives and Records Administration about the hard drive problem Tuesday. "I think we have notified the appropriate authorities that we may have some e-mails that we cannot produce that we should have kept." During the same hearing, Oversight Chairman Darrell Issa, R-California, also demanded that the agency turn over documents that the committee subpoenaed last year. "You have not complied with the subpoena," he told McCarthy. "I am telling you, the time to comply is now. If it is not complied with... this committee will consider and vote on contempt." Issa has made this threat to McCarthy before, but indicated Wednesday that he expects a response within days or he is ready to act on the contempt charge. By the end of the hearing, McCarthy and Issa agreed to let their staffs work behind the scenes. "I hope that over the next few days our folks and your folks can resolve this with all the e-mails," Issa concluded. I would like to make a FOIA request: I want EVERY SINGLE EMAIL sent by EVERY SINGLE republican in the house, senate and white house for the last 28 years, and I want it by 5 p.m. eastern time on Friday, June 27. And if I don't get it I DEMAND the Capitol police arrest EVERY SINGLE republican who served in the house, senate and white house for the last 28 years. As a private citizen, MY request outweighs the car thief's request. Demanding 28 years of emails is a voluminous and frivolous request. Having had experience with municipal and state FOIA requests, I know the requester is required to cite a SPECIFIC subject for emails they're looking for; someone just can't go to the town clerk's office and say they want every email ever produced by a single individual or group of individuals. And considering local and state government follow federal FOIA guidelines, I'm thinking the car thief hasn't a CLUE what he's doing. in lois lerner's case there is reason to believe she has been engaged in criminal activity for a long time. the emails will help determine just who she was involved with and how long the illegal activity was occurring. if she wasn't doing anything illegal then she and the democrats have nothing to fear, right? Wrong. Fishing expeditions are wrong when there is no evidence of a crime having been committed. What does 1986 have to with the IRS investigation? Nothing. How many emails will Issa receive from 1986? None. How many emails will Issa see from 1996? None. How many emails will Issa see from 2006? None. Issa has let his emotions get the better of his judgment. He's making blatant mistakes. Email did not exist in 1986. Any good lawyer knows that it is dangerous to ask questions that you don't already know the answers to, or at least have a pretty good idea of what direction. I think that it would be the justice served for Issa to receive documents that show Lerner's corruption began under Reagan and fully came into full maturity under Bush-43. First, business e-mails are not permanent records, and hence not kept forever. Issa knows that. Second e-mail has been around how long? Third, Ms. Lerner is a Republican appointed by a Republican President. As far as digging through people's background looking for criminal activity lacking any evidence thereof- remind me: What part of the Constitution protects people from that?